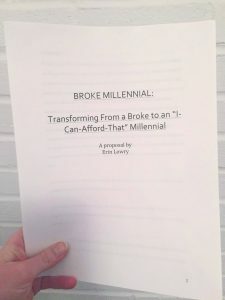 Update: The official title is BROKE MILLENNIAL: How to Stop Scraping by and Get Your Financial Life Together and it’s now available for pre-order on Amazon and Barnes & Noble. I’ll be using #GYFLT for all social posts. 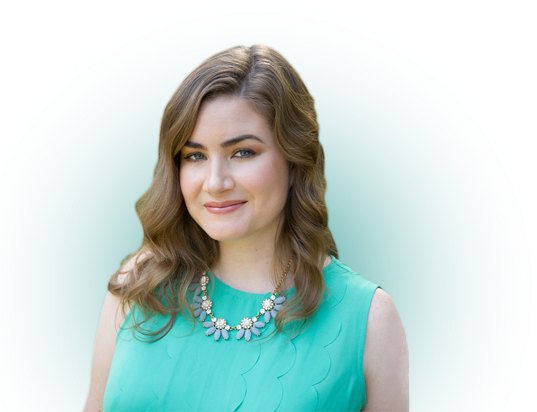 26-year-old personal finance expert and CBS SUNDAY MORNING guest Erin Lowry’s BROKE MILLENNIAL, based on her blog of the same name, using wry humor and real-life examples to demystify the world of money for millennials and including advice on how to handle tricky financial matters that arise in personal and social situations, to Stephanie Bowen at Tarcher Perigee, for publication in Spring 2017, by Eric Myers at Dystel & Goderich Literary Management. 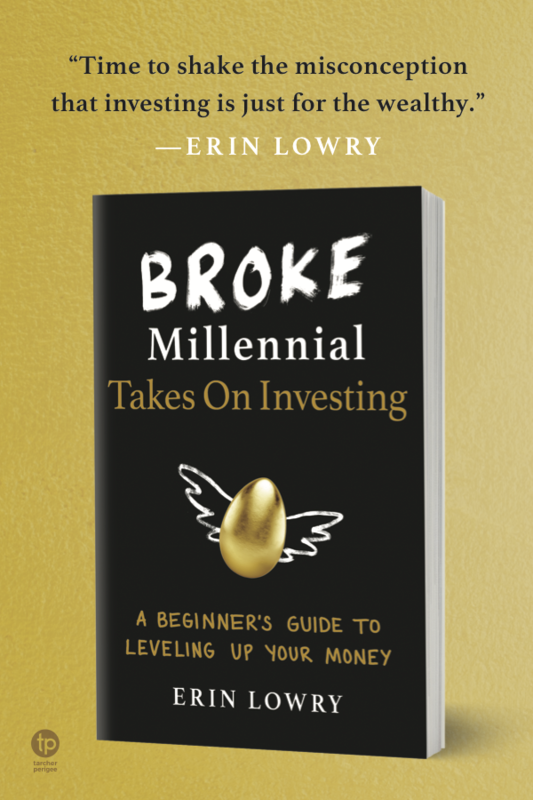 The book, with a working title of Broke Millennial and tentative release date of May 2, 2017, will be an easily digestible guide to personal finance. Or, in crasser terms, a perfect book for the bathroom! You’ll get the same flavor in the book that you’ve grown accustomed to on this blog. Each chapter hits on an element of personal finance including: dealing with student loans, decoding credit scores, getting financially naked with your partner, investing 101 and how to pick the right budgeting style for you. There will be story telling. There will be humor. There will be snarky comments. There is a very obvious inside joke woven throughout it, and I can’t wait to see how many people pick it up! And because everyone always asks, yup – I did get an advance. Curious how it all happened? Here’s the full story. It’s so cliché to reflect on how one moment can ripple out and change your whole life – but that’s exactly what happened. I can actually point to the origin of this book getting put in motion: CBS Sunday Morning. I spoke on the topic of millennials in the work place for a segment on CBS Sunday Morning that aired in September of 2015. The piece mentioned my blog and a New York City-based literary agent, Eric Myers, saw the segment. A day later he sent me an email saying he’d seen me on CBS Sunday Morning then checked out the blog and wondered if I’d ever considered writing a book? Of course I had! One of my first childhood dream jobs was to be a writer (and the White House Press Secretary – fun fact). I’d actually been offered a book deal before, but it was a small operation with no real resources to promote a book, plus I still felt green at the time, so I decided to turn it down. Eric and I ended up getting lunch and I decided to sign with him shortly after. Then the proposal process started. I could never have successfully pitched myself to publishers without Eric’s guidance on the proposal process and skills in securing a deal. That thing was a beast and required so many nuances of which I never would’ve thought to include on my own. After some back-and-forth, Eric and I finally felt the proposal was ready. Except, it was mid-December, which seemed like a terrible time to be trying to pitch a book, so we held on to it until January. On January 11, Eric announced the proposal in the Dystel & Godrich Literary Management newsletter. I got one of the nicest rejections of my life when an editor said she found my voice more hip and engaging than a well-known personal finance author – but she couldn’t acquire mine as it was still a bit too similar and would compete with the backlist on said author’s book. By January 22, I had in-person meetings with two major publishing houses. On February 4, I had two offers. On February 9, I formally accepted with TarcherPerigee! I submitted the first draft of my manuscript on Monday (July 18th) and will be entering the edit phase quite quickly in order to ensure the book can hit shelves in May of 2017. I can’t wait to share more updates, especially cover design options! Hope you’ll all join team #GYFLT! Congrats, Erin! I can’t wait to read it! Thanks, Mel! I hope to do an NYC book launch and I’ll keep you posted. Thank you!! Nashville is of course on my dream book tour list, so I’ll be coming your way eventually! Writing a book can be so daunting, any lessons learned from the process so far? Not to procrastinate! Woof, I had a lot of late nights in the final few weeks before submitting the first draft. Wow, congratulations! I love the story behind the book deal too. Thanks very much! I wanted to get it all down as a memory to reflect on in the future too. Congratulations this is amazing news!! Very exciting. I can’t wait to look for the inside joke. Just in time to plug for Mothers Day ’17 – to mothers of millennials. Congrats! Ohhhh, hadn’t even thought of that! My big focus is graduation season. And let me know if you can’t figure out the joke and I’ll gleefully point it out! I’m so happy for you, Erin! You deserve this so much! Your humor mixed with excellent advice and examples will make this an excellent read! I’m looking forward to getting a copy! Thanks!! I can’t wait to have it out in the world for real. Congratulations! A mentor once told me, “you never know who is watching.” So true. This is an inspiring story. Yes, I’d love to come back!! Never (because I’ll still be one)!!! I’ll also need help with my launch team too! So awesome and loved seeing you break down the timeline of events! Can’t wait to grab a copy. Great job! Thanks, Colin! I can’t wait to get it closer to launch! Amazing! I’d definitely grab a copy of your book. Congrats! Excellent! Anticipated release date is May 2, 2017. OMG. That’s a great news! I am so excited to read your book! Thanks, Kelly! I can’t wait to get to May of 2017! Congrats! That’s a big accomplishment. Hi there, and congratulations! Thanks for going through the process of how it all unfolded. Definitely interesting and inspiring. Good luck! Thanks for reading and I’m glad you found the story inspiring! Congratulations!! I can’t wait to read it. 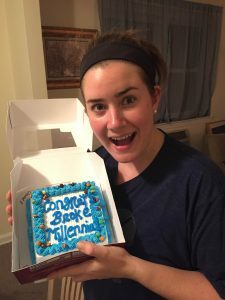 I’m sure Broke Millennial will be as good of a book as it is a blog! I’d be ready for it in May 2017. Gotta grab a copy of your book! That is really amazing, congratulations! Can’t say I’m not suffering a bit from the jealousy bug but who knows what the future holds? That is freaking awesome!! Congrats. Super cool! Congrats! Love your blog. Wish I could keep mine up and actually add value to the community like you do. 🙂 It takes a lot of work. You deserve this. I’ll def buy a copy of your book for my sister who is a broke millennial. Man, I’m sorry I’m late to the party on this one!! This is great news!! Congratulations! I can’t wait to read it!! Very exciting stuff Erin! Crazy how one thing can lead to another, and another, and another. Just gotta be in it to win it! That’s great Eric helped you pitch so much. It must be an arduous process. It’s cool to live in NYC where there is so much access to the literary world. Congrats and good luck for your future plans. First time in your blog and its really a great experience. keep up the good work.